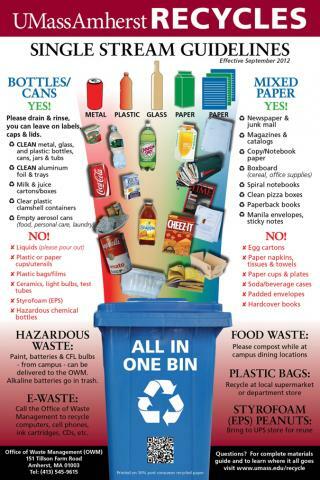 Bottles, cans and paper all go in one bin - red, green or blue. UMass is a single stream recycling system. No need to separate your recyclables. Labels, caps & lids can stay on.